This gorgeous single-story condo in the community of Calico Bluffs in Old Creek Ranch is in move-in ready condition! This rarely available home is a first floor, end unit. No Stairs! 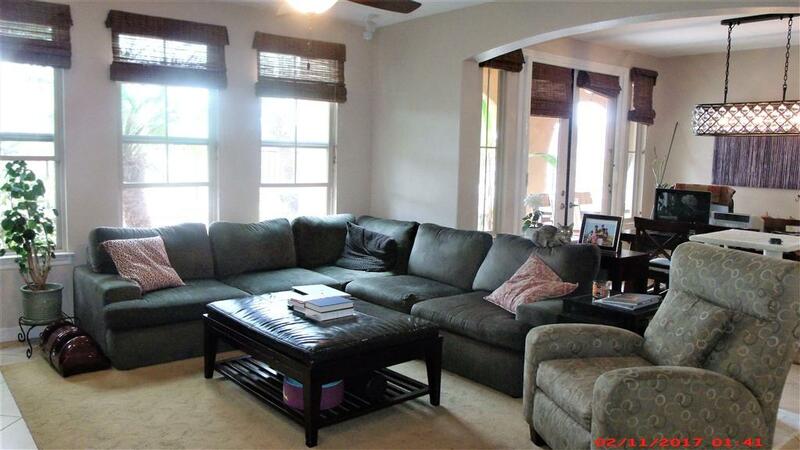 Charming living room flows into the dining area creating a great space for entertaining. 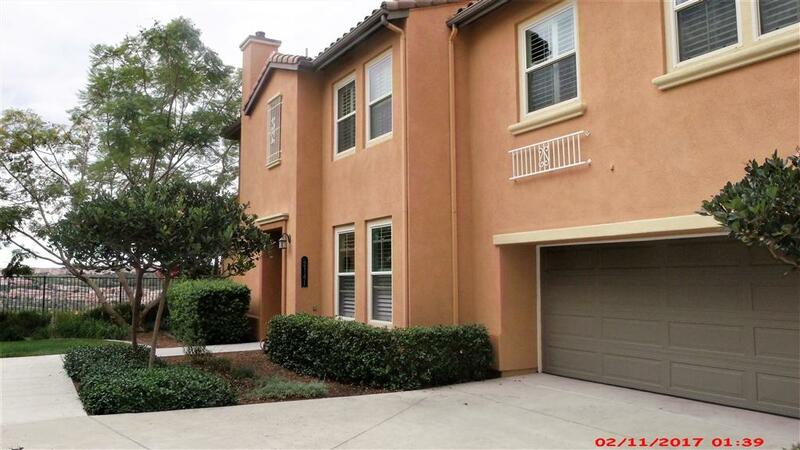 This stunning condo has granite counters in kitchen, stainless steel appliances, breakfast bar and beautiful cabinetry; Gorgeous chandelier in dining room, private fire pit, built-in BBQ and a soothing fountain, perfect for entertaining! This gorgeous single-story condo in the community of Calico Bluffs in Old Creek Ranch is in move-in ready condition! 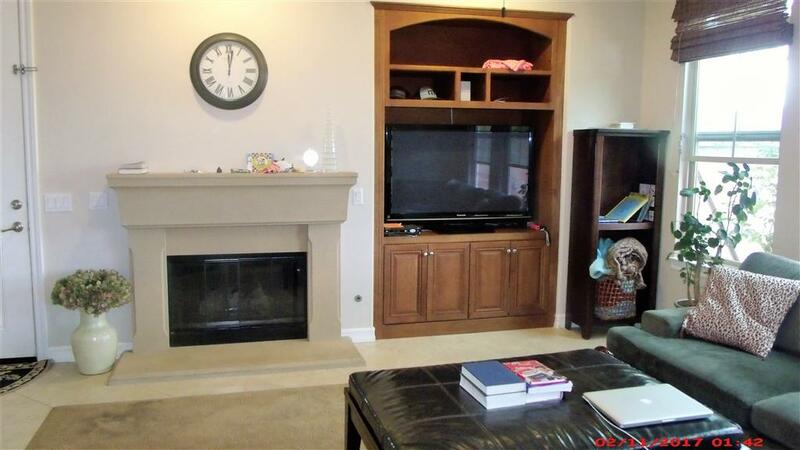 This rarely available home is a first floor, end unit. No Stairs! Charming living room flows into the dining area creating a great space for entertaining. 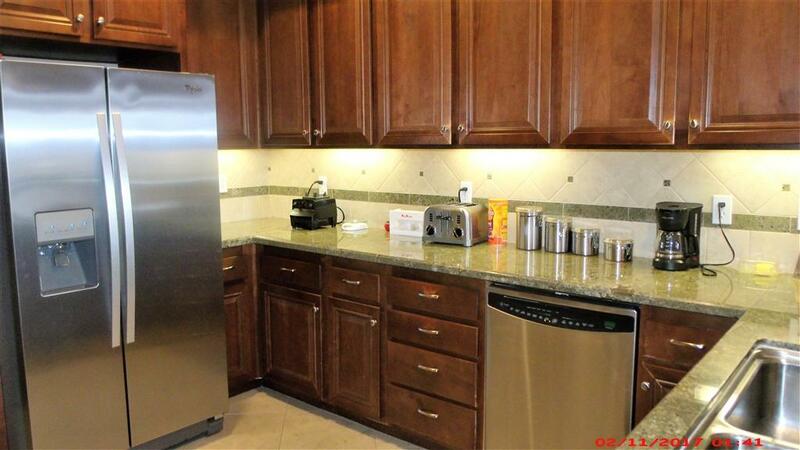 This stunning condo has granite counters in kitchen, stainless steel appliances, breakfast bar and beautiful cabinetry. New, gorgeous chandelier in dining room. Plantation shutters in front bedroom and new retractable screens at French doors leading out to the backyard area that extends the length of the building with a private fire pit, built-in BBQ and soothing fountain, that is perfect for entertaining. Separate laundry room with closet that can be used as mini office space. Spectacular, canyon and sunset views due to the homes southwest orientation...Offering an abundance of light! The complex has a pool, spa, changing rooms and tot lot! Very small, exclusive complex conveniently located near the 5 and the 78 for an easy commute. The beach is only minutes away. Near San Elijo Hills. Numerous nearby schools for school aged children. Upscale shopping, parks, theaters, biking and walking trails and so much more, all within an easy drive. Small pets considered with prior approval from the owner. Regular landscape maintenance included in rent and No smoking, please. Listing provided courtesy of Sd Residential Property Mgmt. Listing information © 2019 San Diego MLS, Inc.